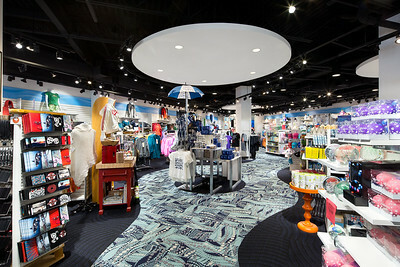 Interior Designer: Edith Wormsbecker, R.I.D. 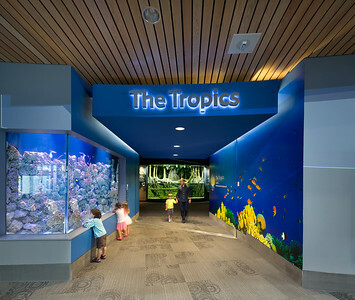 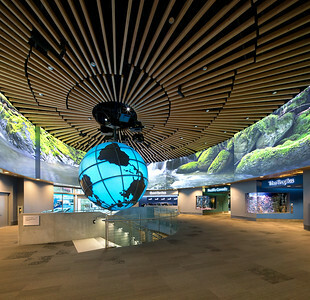 Design Firm: MCM Interiors Ltd.
To enhance the guest experience at the Vancouver Aquarium, the space was reconfigured to accommodate a new entrance, Teck Connections Gallery, washrooms, a bistro restaurant and gift shop. 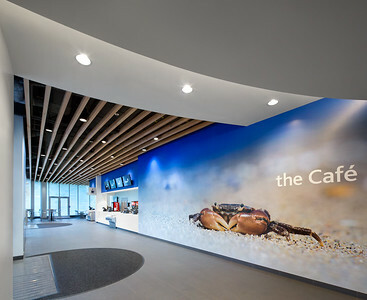 Each area was given its own identity, marked with textures and bold wall graphics to draw visitors in. 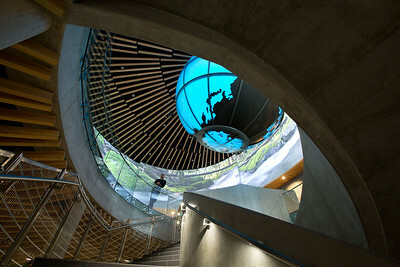 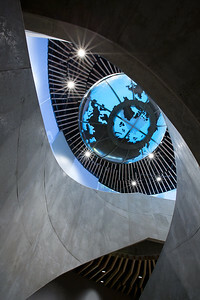 A new, double-helix staircase was installed to ease traffic flow and direct visitors to the lower Arctic Gallery. 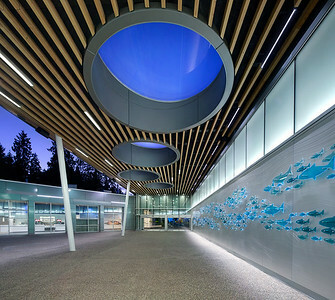 The wood slat ceiling in a stylized log jam pattern creates depth, provides acoustic elements and reflects the natural surroundings of Stanley Park. 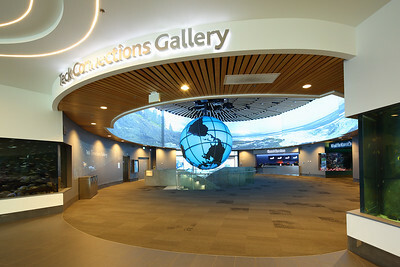 The use of natural materials throughout the galleries provide a neutral backdrop to highlight the displays and can easily transform into public gathering spaces for after-hours events.